The doctor takes a little blood which is then treated in a centrifuge so that only the enriched cells or platelets (PRP) remain.The PRP or highly concentrated Platelet Rich Plasma, including essential growth proteins, is injected into the scalp or areas to be treated using a special micro needle. It is possible to use PRP Hair Loss Therapy alone to promote hair growth or it can also be used in combination with hair transplant or restoration surgery. 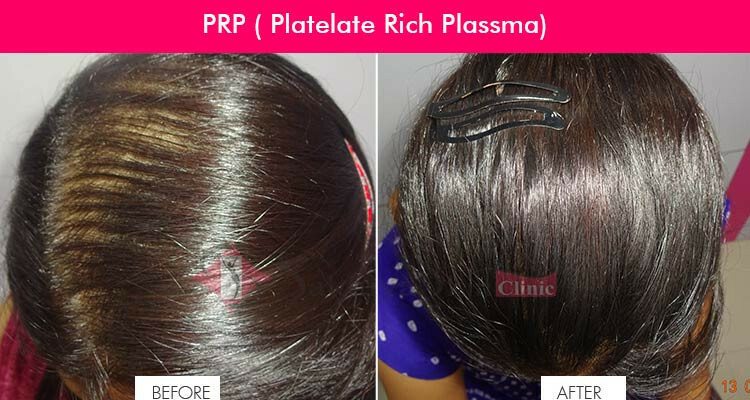 Find quality and affordable PRP for Hairfall in Mumbai at Sakhiya Clinic.